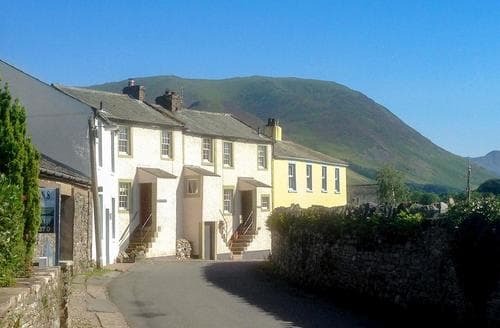 What our customers are saying about our Holiday Cottages In Lorton To Rent. "Very clean, comfortable, and cosy. The location is great, many walks straight from door, and lots of info provided by the owners about the area. We took our two dogs (free of charge!) - one is a Labrador Retriever and the other is a Labrador, so quite big dogs and we still found that we had enough space without tripping over each other! 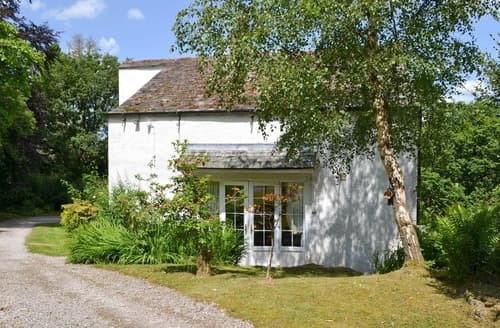 The cottage has a very calm atmosphere and is the perfect place to relax and recharge. We will be returning in a different season!Could walk to local pub about a mile and a small shop less than half a mile. Cockamouth was only 5 miles away. Good bus service if you did,nt want to use a car. Some beautiful walks near by. S90016 also had lots of books on the area which my husband and l enjoyed reading. We will go back to S90016 another year a week was,nt long enough.Although a small cottage it had everything we needed. The amount of books and literature about everything regarding the lakes was exceptional. When we got home we had a message from the owner thanking us for leaving the cottage in such a clean and tidy condition. All in all a lovely cottage in a lovely location.My family and I had a lovely time staying at S90016, Lorton. 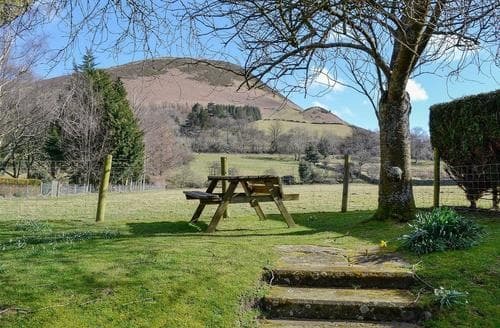 It was a very cosy, beautifully decorated house with fantastic views and convenient for both Cockermouth and Keswick. We loved the attention to detail with the deoor and ornaments and the bountiful supply of CDs, books and Dvds. It was great that we could conveniently access the keys by the safe box attached to the side of the porch. We particularly enjoyed the sun room which was great to relax in with a glass of wine after a long walk over the fells. The kitchen was a bit on the small side but had everything we needed to prepare meals. All in all a truly memorable stay." 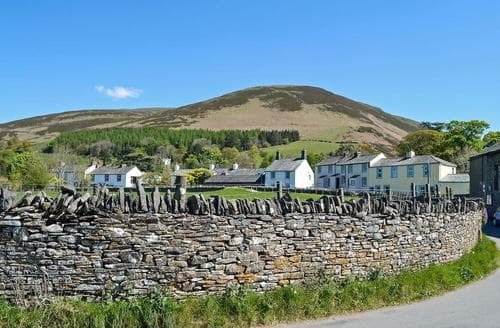 "Could walk to local pub about a mile and a small shop less than half a mile. Cockamouth was only 5 miles away. Good bus service if you did,nt want to use a car. Some beautiful walks near by. S90016 also had lots of books on the area which my husband and l enjoyed reading. We will go back to S90016 another year a week was,nt long enough.Although a small cottage it had everything we needed. The amount of books and literature about everything regarding the lakes was exceptional. When we got home we had a message from the owner thanking us for leaving the cottage in such a clean and tidy condition. All in all a lovely cottage in a lovely location.My family and I had a lovely time staying at S90016, Lorton. 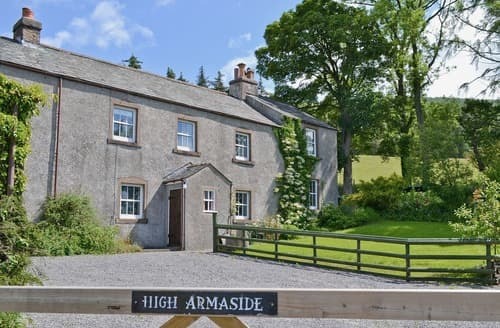 It was a very cosy, beautifully decorated house with fantastic views and convenient for both Cockermouth and Keswick. We loved the attention to detail with the deoor and ornaments and the bountiful supply of CDs, books and Dvds. It was great that we could conveniently access the keys by the safe box attached to the side of the porch. We particularly enjoyed the sun room which was great to relax in with a glass of wine after a long walk over the fells. The kitchen was a bit on the small side but had everything we needed to prepare meals. All in all a truly memorable stay." "Our family of three had a fantastic stay at The Spinney. 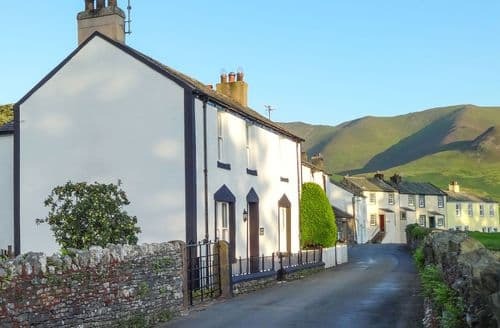 It is set in a truly idyllic location and since leaving we have sorely missed the beautiful surroundings and the chorus of birdsong that greeted us in the mornings when stepping outside.The cottage was an ideal base for our walks around Buttermere, Loweswater and Cat Bells. It was also easy to reach Ullswater for a steamer trip, Derwentwater for canoeing, Keswick for shopping and Cockermouth for the large Sainsbury's.The cottage is part of a lovely old house which is cosy downstairs but had enough room for the three of us, with more space upstairs with some sloping ceilings (mind your head!) 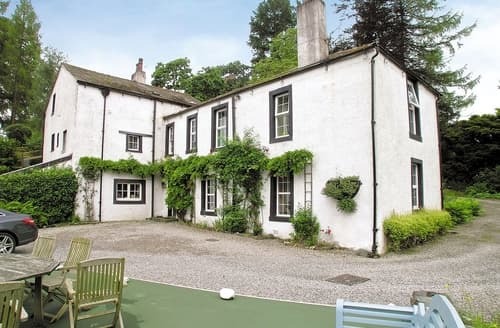 It adjoins a larger cottage which was occupied while we were there, but we did not feel disturbed by the other guests. We had extremely comfortable and restful night's sleep. Previous guests have noted that the sofas are uncomfortable and I can confirm that they are not that comfortable to sit on because the seat cushions are lacking support and one rather feels they have seen better days. There was no potato peeler and the plastic egg lifter was partially melted and not safe to use. I hope these will be replaced.We would love to return to The Spinney." 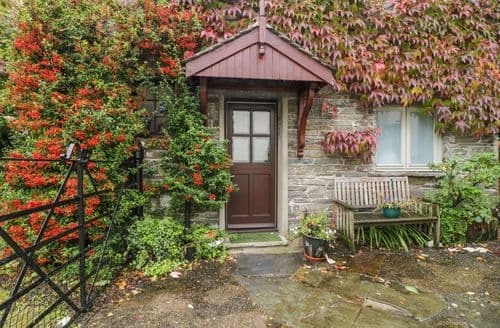 "Although a small cottage it had everything we needed. The amount of books and literature about everything regarding the lakes was exceptional. When we got home we had a message from the owner thanking us for leaving the cottage in such a clean and tidy condition. All in all a lovely cottage in a lovely location.My family and I had a lovely time staying at S90016, Lorton. 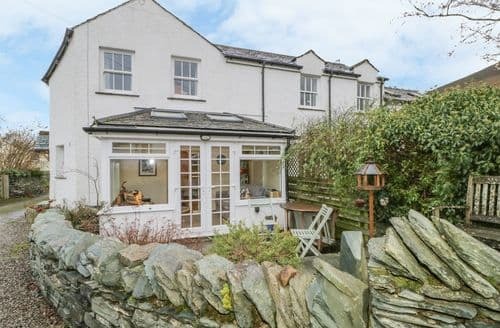 It was a very cosy, beautifully decorated house with fantastic views and convenient for both Cockermouth and Keswick. We loved the attention to detail with the deoor and ornaments and the bountiful supply of CDs, books and Dvds. It was great that we could conveniently access the keys by the safe box attached to the side of the porch. We particularly enjoyed the sun room which was great to relax in with a glass of wine after a long walk over the fells. The kitchen was a bit on the small side but had everything we needed to prepare meals. All in all a truly memorable stay." 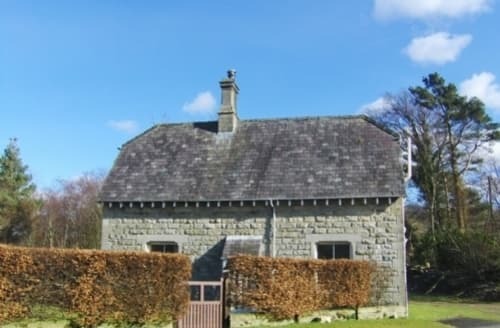 "This cottage is in a lovely location and the double bed was very comfortable. There were however a few bad points:1. Parking is awkward and turning is especially difficult.2. The steps to the cottage are dangerous particularly when wet and for anyone who is elderly.3. The settee and armchair in the sitting area are past their 'use by' date and uncomfortable. The armchair blocks the view of the TV unless it it moved to the other side of the room.4. The heater in the sitting room never appeared to work properly and the open fire would have been OK if one did not have to go outside to get fuel.5. In this day and age, one expects to have towels provided and one should not be asked to strip the linen off the bed when leaving."